Suddenly there is a lot happening in the telecoms M&A world, with O2 apparently on the market (Telefonica having announced it is to focus its investment on other markets, Three owner Hutchison Whampoa was reported last month to be in talks to buy) and now BT confirming it has agreed terms to buy EE. The consolidation may be subject to some regulatory scrutiny, and reportedly Vodafone and TalkTalk are looking at whether the competition authorities should be asked to intervene. The fact that BT's Openreach arm has a hold over the "last mile" of much of the UK's fixed line network has been a bone of contention within the telecoms sector for years. Certainly consumers continue to question whether there is yet full competition in some aspects of telecoms in the UK. But from the BT perspective, the logic of their current strategy was inevitably going to drive them back into mobile, a sector that they quit when they sold their Cellnet operation (which became O2) in 2001. Watch out for further change in this market. 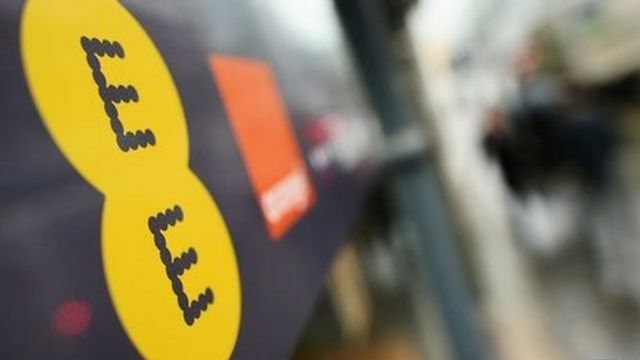 Telecoms group BT has paid £12.5bn to buy mobile operator EE. The takeover creates a communications giant covering fixed-line phones, broadband, mobile and TV. The stock market greeted the move by sending BT shares up more than 5%, the highest since 2001, when it sold off its old mobile operation O2. But rivals TalkTalk and Vodafone have already called for competition authorities to step in and force BT to spin off its Openreach operation. The deal sees BT buying all EE shares currently held by Orange and Deutsche Telekom. Then Deutsche Telekom will receive 12% in the new combined business and have a seat on the board.